Six Nations 2017 Preview: Is a Second ‘Grand Slam’ on the Cards for England? Lewis Wright in Sport on 3 February, 2017. With less than 24 hours remaining until Scotland host Ireland in the opening fixture of the 2017 Six Nations tournament at Murrayfield, the article that follows will focus on the nations that can realistically compete for the unofficial title of the best team in the Southern hemisphere, while also showcasing those who would appear to be there to simply ‘make up the numbers’. Takeback to 2015 and a World Cup on home soil, and an England side – coached by Stuart Lancaster and devoid of all confidence and general competence – were heading back to their respective club sides on the back of an infamous tournament in which they failed to reach the knockout stages and were humbled by both Australia and neighbours Wales to bring an end to a tournament that had promised so much for this talented bunch of Englishmen. 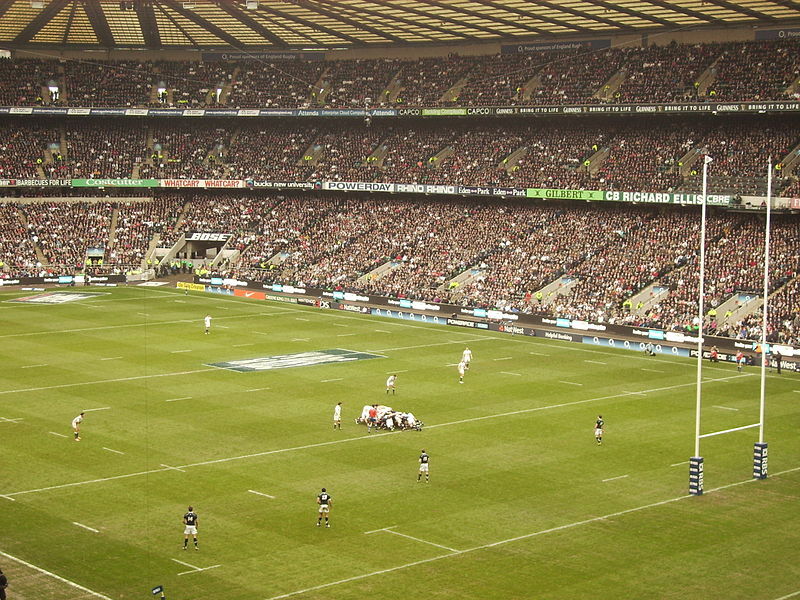 Twickenham will be bouncing on Saturday as England start the defence of their Six Nations title againt France. Fast forward just 13 months and this team, led by Australian-born head coach Eddie Jones, are heading into the Championships as favourites to repeat their ‘grand slam’ success of 2016, while also boasting a 14-match unbeaten run which includes four victories against World Cup runners-up Australia, as well as comfortable triumphs over the nations that came third and fourth on the penultimate day of that very tournament, South Africa and Argentina respectively. And although Jones’ men – targeting nothing less than the William Webb-Ellis (World Cup) trophy in two years’ time and a place as officially the best team on the planet in the process – have supposedly been depleted by a number of injuries to some key squad members, journalists, pundits, and supporters alike have unanimously taken an optimistic stance on England’s chances of winning a second successive title. I cannot see past England captain Dylan Hartley lifting another Six Nations trophy at the Aviva Stadium, Ireland, on Saturday 18 March. While world rankings are barely representative of true quality in a number of other sports (e.g., football), they should certainly be viewed with interest in the game of rugby. And, in Joe Schmidt’s Ireland, there is a reason why they have are officially the fourth best team in the world, placed behind only England as number two in the Northern hemisphere. Under the guidance of Schmidt, this Irish side, without retired national legends such as Brian O’Driscoll, Ronan O’Gara and now Paul O’Connell, have continued to achieve immense feats in recent years, including an historic victory over the coach’s own nation of New Zealand back in November, along with a follow-up success against fellow giants of the Southern hemisphere Australia. Like England, Ireland will be closely monitoring the fitness of their star men in the form of Jonathan Sexton and Peter O’Mahony as they prepare for the opening weeks of this iconic championship. But the boys in green will remain confident of winning a fourteenth title, as the likes of Jamie Heaslip, Conor Murray and captain Rory Best continue to show that they are among the very best in the world in their respective positions. Scotland boss Vern Cotter has just five matches left to leave a lasting legacy. Approaching his final Six Nations at the helm, Scotland Head Coach Vern Cotter will be looking to make the most of their superb recent form to finally challenge at the ‘right’ end of the table in 2017. 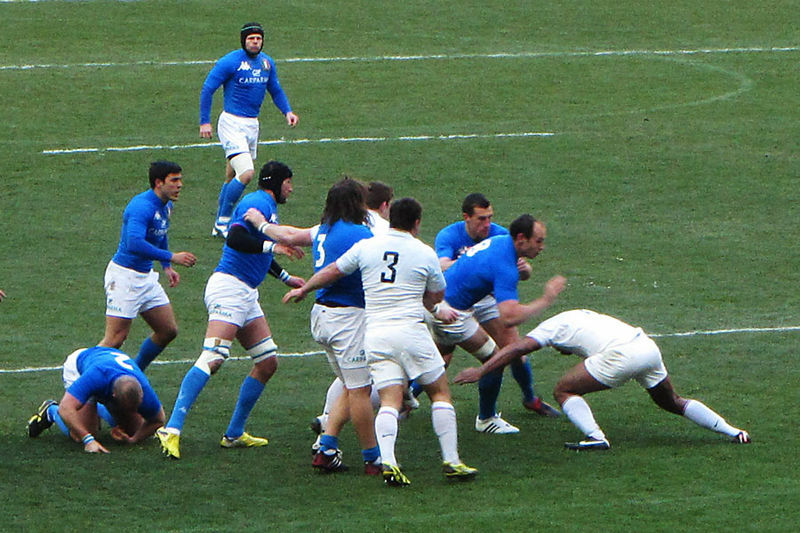 Having finished above only Italy back in 2014 and suffered a whitewash a year later, Scottish rugby’s fortunes took a turn for the better from the moment they began an exceptional run to the quarter-finals of the most recent World Cup. 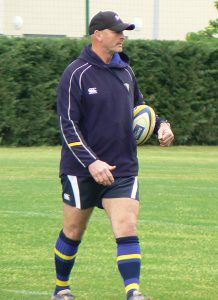 Cotter’s men battled their way into the final eight by defeating Japan, Samoa and the United States of America at the group stage, losing only to eventual semi-finalists South Africa, and they were unlucky not to have gone further, following the harshest of exits as a result of referee Craig Joubert’s controversial decision to award Australia a penalty with just 30 seconds remaining and Scotland two points to the good. Glasgow Warriors boss Gregor Townsend has been summoned by the Scottish Rugby Board to take over once this tournament reaches its conclusion, and Cotter will be determined not to let his final five fixtures go away without cementing his place in this nation’s history books. Another side from the British Isles and another nation with a coach from the Southern hemisphere. Regular contenders at the top of the Six Nations table in recent years and a spell that includes a ‘grand slam’ in 2012 and another title twelve months later, the proud nation of Wales have been overlooked as potential champions in 2017 before the competition’s first match has even begun. Former captain Rob Howley will be leading The Dragons out for this year’s edition of this iconic championship as Warren Gatland focuses on preparation for the upcoming Lions’ tour of New Zealand, and there is no doubt that he will be optimistic having guided the Welsh to victories over Argentina, South Africa and Japan in the Autumn internationals back in November. But the 46-year old, now filling in for what will be his second caretaker role with the national team, will certainly have a lot of work to do if he is to repeat the success he achieved back in 2013, with an ageing side that is surely past its best. Howley will also be missing two of his star forwards in the form of Taulupe Faletau and Luke Charteris for the tournament’s opening round of fixtures. By no means the giants of European rugby that they were throughout the first decade of this millennia, France face an uphill struggle to seriously challenge the likes of the English and Irish and force their way into a respectable top-half finish come the middle of March. It has been seven years since the French stormed their way to the Six Nations title, winning a ‘grand slam’ in 2010. 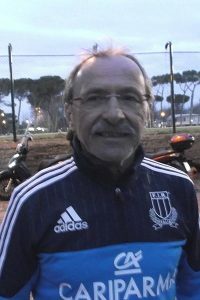 However, under head coach Guy Novas, there is little doubt that Les Bleus have made progress of late, and their infamous wooden spoon back in 2013 looks to be a long way behind them now. Having pushed both Australia and New Zealand all the way back in Autumn, eventually falling just two and five points short of those giants of the Southern hemisphere respectively, you would be brave to completely right off one of the most unpredictable sides in world rugby just yet. Nevertheless, with an opening encounter against England at Twickenham before heading to Dublin in week three, the French could be out of contention almost before this championships has even truly begun. Italian rugby has finally said goodbye to former head coach Jacques Brunel. After finally leaving his post as Italy head coach in May last year, with a quite abysmal 22 per cent win record, Frenchman Jacques Brunel has been replaced with a name well known to to follows of England’s Aviva Premiership, as former Harlequins and London Irish head coach Conor O’Shea looks to transform a side that have picked up eleven of the seventeen wooden spoons throughout the history of the Six Nations. And there is little doubt that O’Shea is making strides in the right direction, having helped the Azzurri to their first ever victory over South Africa just three months ago, five months after taking charge. But where their new boss will add fifteen years of experience in a coaching capacity, the problem that Italy continue to face is quite simply the lack of quality that they boast on the pitch. Kicking off their campaign with two home fixtures against Wales and Ireland, the Italians have no choice but to pick up points before travelling to Twickenham ahead of match day three. The 2017 Six Nations kicks off with Scotland facing Ireland at 14:25 on Saturday 4 February, and will reach its conclusion just minutes before England host France at Twickenham. Meanwhile Wales travel to Rome on the first Sunday of this year’s championships, as they take on Conor O’Shea’s Italy in front of a typically raucous home crowd, kick-off 14:00. The Six Nations are upon us once again, expect big tackles, even bigger performances, and immense displays of courage and pride from all involved.